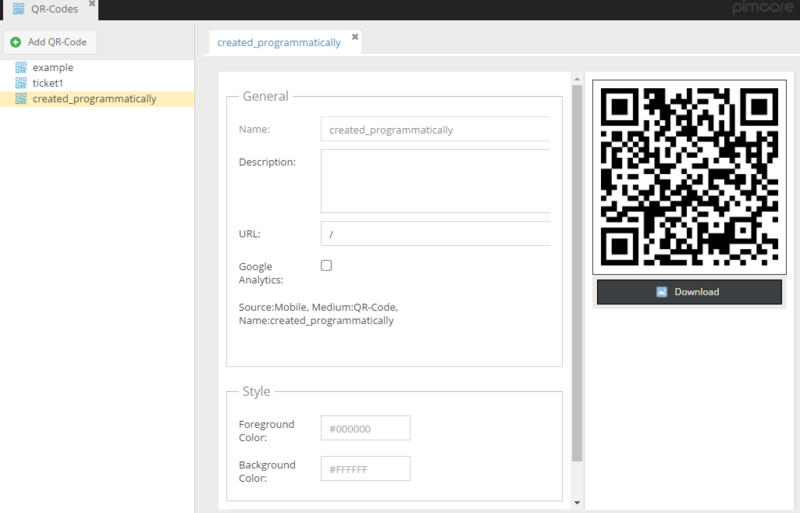 Pimcore provides QR-Codes feature which allows you to add qr codes for every URL (internal, external). You're also able to tracking the efficiency of specific qr code by built-in Google Analytics tracker. Go to the Marketing -> QR-Codes in the main menu. To show the use case of the QR-codes feature, let's have a look at the example below. URL - here I put the document called ticket. The document is controlled by ticket validation action which has implemented checking for the token argument. As it is shown in the picture, you're able to add some suffix to the internal URL. Generated QR code with the download action - on the right, you can see the download option. The download file is not changing when you're editing values in the row. 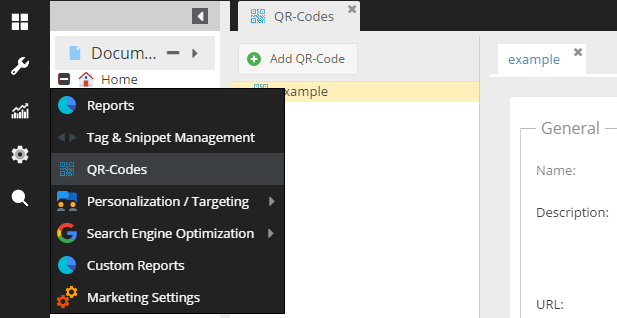 The qr code always references to the same action (\Reports_QrcodeController::codeAction) with the name parameter equals to the name of the qr code row. There is also the Google Analytics option. If it's not needed to tracking the code, just untick it. Qr-Codes data is accessible via the \Pimcore\Model\Tool\Qrcode\Config model.